“The Arpa Foundation” is a charitable organization, brainchild of Professor Franco Mosca, Director of the 1st Department of General Surgery at the University of Pisa. The Honorary President is the world-renown vocalist Maestro Andrea Bocelli. Medical education and research are the stones of medical advancement. The Arpa Foundation contributes to medical education and research in various fields within the health professions: surgery, oncology, new technologies, transplant surgery and health economics. Arpa supports students, doctors and nurses from abroad, especially those from countries in the developing world, both to complete studies at home and to continue their professional development in Italy. We also maintain close academic relations and collaborate with many equivalent overseas institutions. Arpa has several projects in progress for the treatment of serious endemic diseases in underprivileged areas of the world (e.g. AIDS). 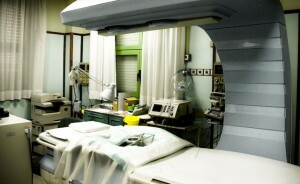 These opportunities for continuing education and research are maintained and assured through various specialist training facilities, in turn supported by Arpa and constituted under the 1st Department of General Surgery at the “Azienda Ospedaliero-Universitaria” of Pisa (University of Pisa). *”Endocas” Center for Excellence of The Ministry for Education. Universities and Research and Regione Toscana. – Center for the Treatment of Pancreatic Illnesses. “Progress is for all, and everyone should participate in its progress”. Arpa periodically promotes cultural and artistic events of international significance with the aim of improving understanding among different cultures through “participation”. These event include exhibitions and musical concerts both in Italy and abroad. Burkina Faso – The Arpa Foundation, in collaboration with the Archibishop of Pisa and Provincia of Pisa helps the Centre de Récupération et d’Education Nutritionnelle in Burkina Faso. Fondazione Arpa is a fundamental step for the professional development of doctors and nurses at The Division of General Surgery in Pisa , especially in ultrasound scan. Once in Burkina again they will be able to teach to local colleagues the new techniques. Dr. Paul Oudragogo has already been in Pisa and have been trained at the National Ultrasoud School in Pisa and other two nurses are waited for their training in Surgery and Operative Ultrasound. Ecuador – Arpa grants medical studies of a Ecuadorian young student at the Papal Catholic University of Ecuador in Quito. Arpa supports this student in collaboration with University of Pisa and the High School ” Ulisse Dini” of Pisa. “Doctors for poor” – Arpa, in collaboration with the University of Pisa, the High School “Ulisse Dini” of Pisa and the students of the S. Anna High School, raises funds to help Peruvian students earning their Medical School degree in Lima, Perù (two of them have already graduated). India – The Arpa Foundation helped two Biomedic Engineers from India that have been in Pisa two years in order to carry on a collaboration between University and Scuola Superiore di Studi Sant’Anna for a European Community project named NETMED for Mini-invasive Robotic Endoscopy. Cambodia – A young surgeon from Cambodia is nowadays in Pisa thank to Fondazione Arpa in collaboration with “Emergency” (non-profit Italian surgical organization). He will stay in Italy for a year long to make his training in Surgery. Then he will come back in Cambodia and work in a field hospital. Medical education and research are the stones of medical advancement.The Arpa Foundation contributes to medical education and research in various fields within the health professions: surgery, oncology, new technologies, transplant surgery and health economics. Arpa supports students, doctors and nurses from abroad, especially those from countries in the developing world, both to complete studies at home and to continue their professional development in Italy. We also maintain close academic relations and collaborate with many equivalent overseas institutions. Arpa has several projects in progress for the treatment of serious endemic diseases in underprivileged areas of the world (e.g. AIDS). 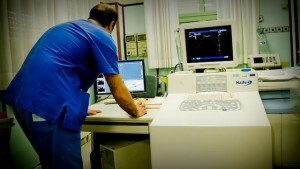 These opportunities for continuing education and research are maintained and assured through various specialist training facilities, in turn supported by Arpa and constituted under the 1st Department of General Surgery at the “Azienda Ospedaliero-Universitaria” of Pisa (University of Pisa). *Three referral centers of Regione Toscana: – Minimally Invasive Surgery and New Technology Center;- Transplant Surgery;- Center for the Treatment of Pancreatic Illnesses. Cultural Events”Progress is for all, and everyone should participate in its progress”. Arpa periodically promotes cultural and artistic events of international significance with the aim of improving understanding among different cultures through “participation”. These event include exhibitions and musical concerts both in Italy and abroad. Burkina Faso – The Arpa Foundation, in collaboration with the Archibishop of Pisa and Provincia of Pisa helps the Centre de Récupération et d’Education Nutritionnelle in Burkina Faso. Fondazione Arpa is a fundamental step for the professional development of doctors and nurses at The Division of General Surgery in Pisa , especially in ultrasound scan. Once in Burkina again they will be able to teach to local colleagues the new techniques. 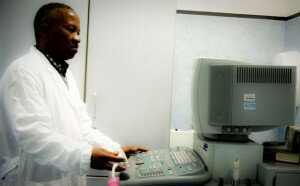 Dr. Paul Oudragogo has already been in Pisa and have been trained at the National Ultrasoud School in Pisa and other two nurses are waited for their training in Surgery and Operative Ultrasound.Ecuador – Arpa grants medical studies of a Ecuadorian young student at the Papal Catholic University of Ecuador in Quito. Arpa supports this student in collaboration with University of Pisa and the High School ” Ulisse Dini” of Pisa. “Doctors for poor” – Arpa, in collaboration with the University of Pisa, the High School “Ulisse Dini” of Pisa and the students of the S. Anna High School, raises funds to help Peruvian students earning their Medical School degree in Lima, Perù (two of them have already graduated).India – The Arpa Foundation helped two Biomedic Engineers from India that have been in Pisa two years in order to carry on a collaboration between University and Scuola Superiore di Studi Sant’Anna for a European Community project named NETMED for Mini-invasive Robotic Endoscopy.Cambodia – A young surgeon from Cambodia is nowadays in Pisa thank to Fondazione Arpa in collaboration with “Emergency” (non-profit Italian surgical organization). He will stay in Italy for a year long to make his training in Surgery. Then he will come back in Cambodia and work in a field hospital.